Challenging all forms of discrimination and oppression is an important part of the work of the GSA. 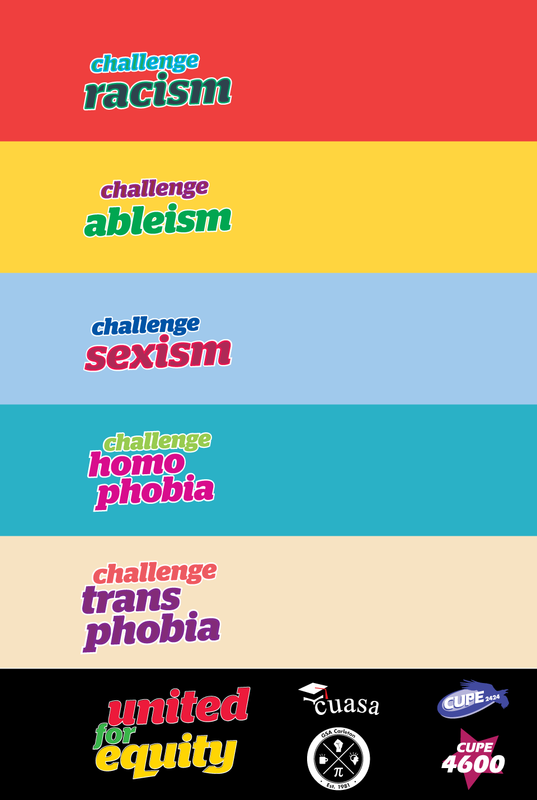 Racism, sexism, ableism, homophobia, transphobia, Islamophobia, anti-Semitism and all forms of oppression can affect how certain groups of people access post-secondary education, and perpetuate inequities in society based on gender, race, socio-economic status, (dis)ability, sexual orientation, gender identity, religion, citizenship status and other factors. The GSA works with the Canadian Federation of Students, and on campus labour unions like CUPE 4600, CUPE 2424 and CUASA to promote equity and challenge all forms of discrimination. If you have any questions, would like to get involved in any of these campaigns, or learn more about the Political Action Committee, please contact the VP Academic (vpx@gsacarleton.ca) or the President (pres@gsacarleton.ca).